The most beautiful dive in the island starts with the big cap, at about 10 meters depth with the lower point at 3 meters depth. On the north-west point, a wall of basalts leads to a plateau of big rocks, rich in corals, a good habitat for big serranidi such as brown groupers, golden groupers and wreckfishes. 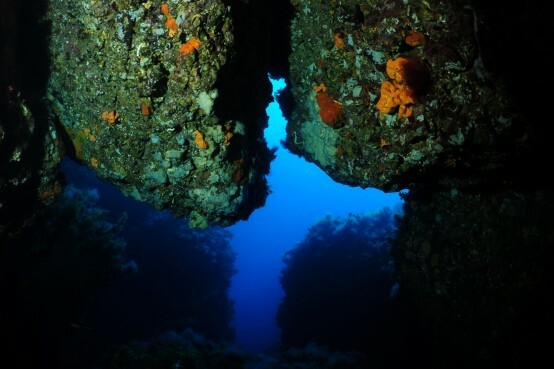 On the left, at about 30 meters depth, there is a beautiful wall (with its famous “big breast”) which lowers to 45 meters. 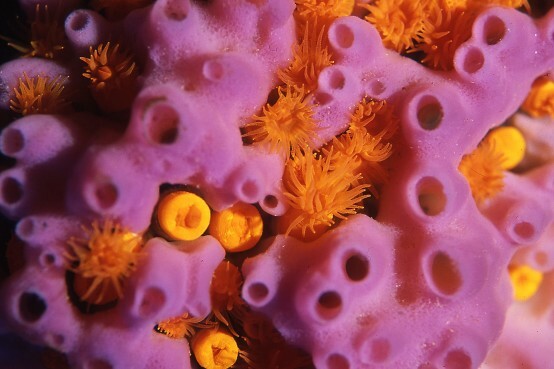 You will see horny corals, calcareous sea-weeds, astroides, sponges and swarms of sea-squirts. At the maximum depth there are organ-pipe like sponges, a unique landscape in the Mediterranean sea. 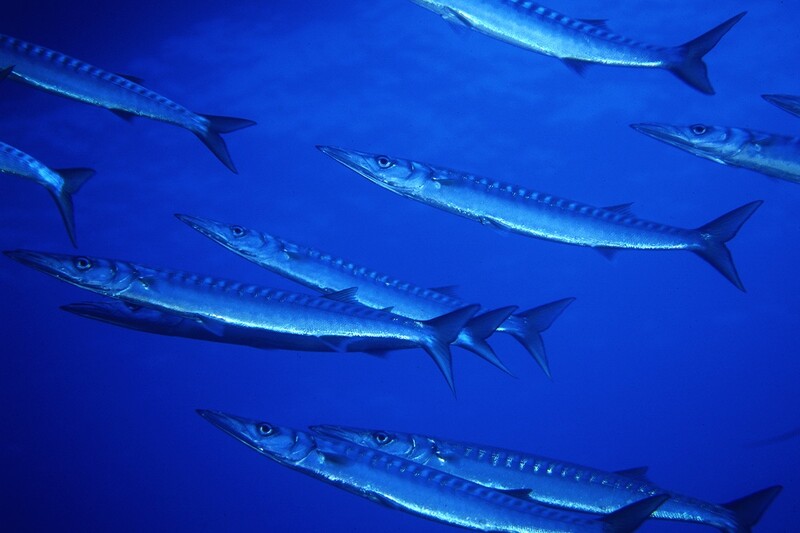 You will also meet pelagic fishes, such as barracudas, amberjacks and possibly tunas. There are always big banks of salpe, banded breams and saddled sea breams. The shoal goes from 50 meters to its opening where you can meet some morays and you can play with the rainbow wrasses. It is an emersed rock not distant from the integral Marine Reserve. We offer four different tours depending on your experience and sea conditions. This is one of the most beautiful area of the Mediterranean Sea for its richness of fish and corals. The east slope (depth of -15 to –35 mt). During this tour you will see a wide variety of fish such as big groupers and banks of barracudas. 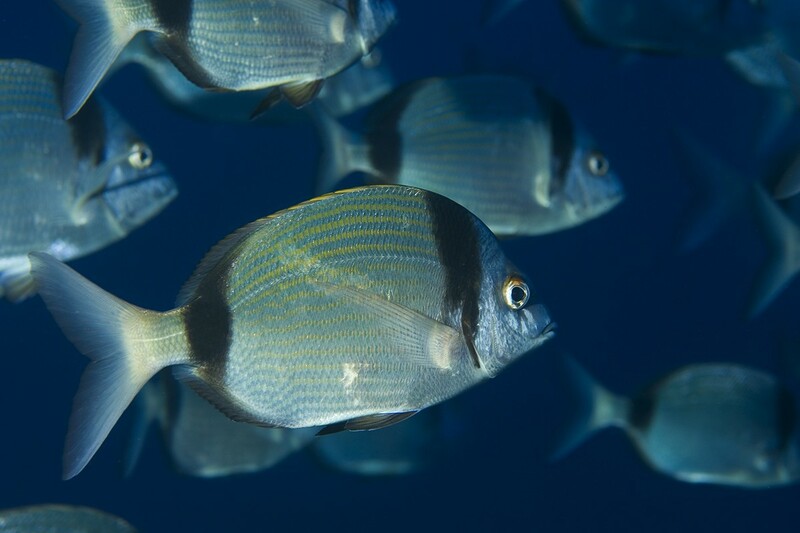 Salpas, saddled sea breams and big banded breams make this dive unforgettable and if you move slowly and cautiously you will be able to approach them and to take some unbeliveable photos. The west canyon (depth of –14 to –50 mt). This is a very suggestive canyons. During the tour you will meet groupers and barracuda forming a circle around you. In one of its numerous winding path, a group of five or six corvine lives. Outside the canyon there is a plateau when you can meet banded breams and big groupers. 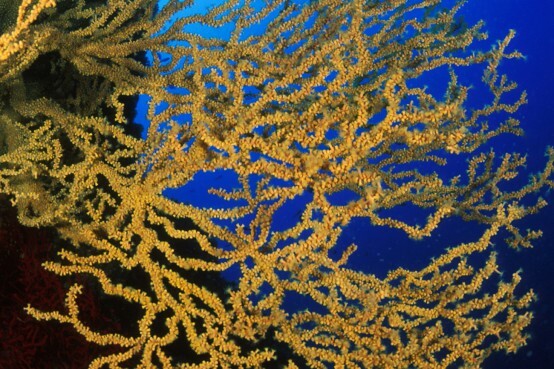 You will follow a meadow of Posidonia on their descent to 40 meters where there are two rocks full of horny corals, red gorgonias (the most beautiful of the island), sea anemones, yellow gorgonia, astroides, sponges and calcareous sea-weeds. During the dive you could meet hunting barracuda, swarms of salpe, saddled sea breams and banded breams and, among the cracks of the rocks, morays, gronchi and groupers. 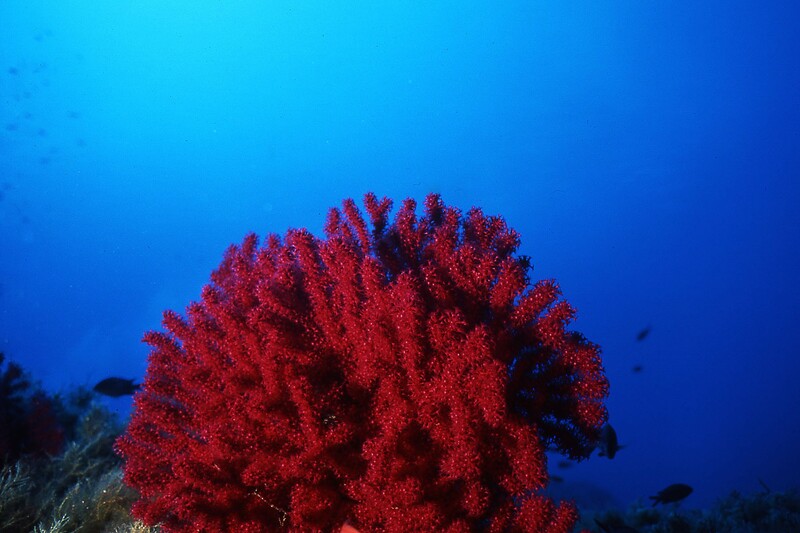 Underwater photographers will find a spectacular landscape with corals and madrepore between 7 and 15 meters deep. 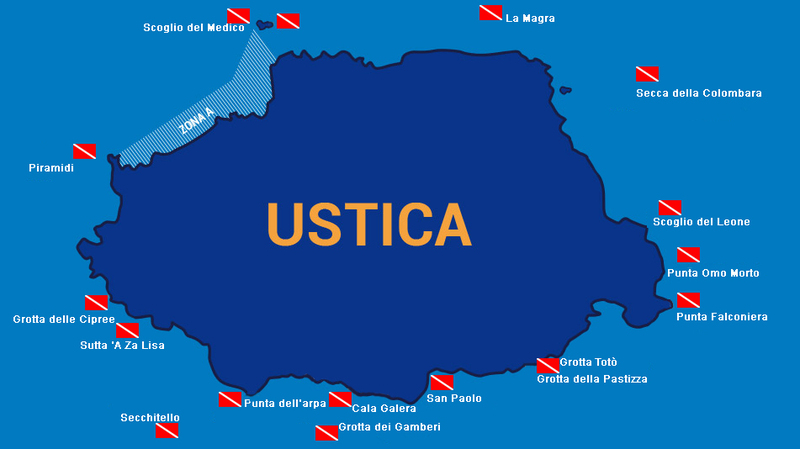 One of the most famous dive of Ustica, it is a must if you are a cave’s lover. You will enter the cave at a depth of 42 meters and you will find yourself in a large area with a sandy bottom; the light-works of the cave will let you breathless. 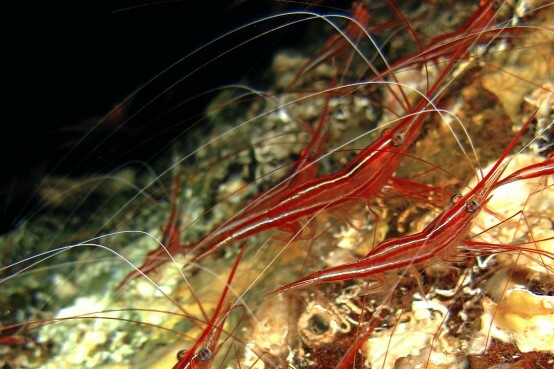 Following its left wall, you will meet thick swarms of Plesionika Narval, the famous Ustica’s shrimp. Musdee hide themselves among the walls of the cave. You could also be lucky and touch a big European conger which lives inside the grotto. The exit is at a depth of 26 meters and leads to a slide of rocks where you can meet groupers, salpe and big banded bream. You will arrive at the entrance of a large cave with a sandy bottom, following a coloured leaning wall. Inside the cave you can see calcareous sponges and Plesionika Narval, the famous Ustica’s shrimp while outside the cave you can see forkbeards, octopus and little groupers. This is a big cave with sandy bottom at the beginning and a rocky one at the end. Inside the cave, guided by the fascinating light coming from the mouth of the cave, you will see stalactites and roots of plants. As you go to the surface you will arrive to a narrow passage and eventually to an air bubble where you will breath without your regulator. Outside the cave you will see forkbeards, octopus and little groupers. At Cala Galera, we offer two different tours at differeent depths. Groupers, banded breams, salpe and saddled sea breams will swim with you alongside a path which follows a landslide of rocks. 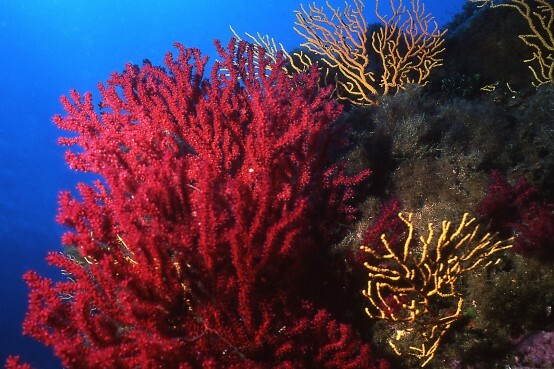 You can also dive away from the coast to a big red rock, full of gorgonias, placed at a bathymetry of about 43 meters. 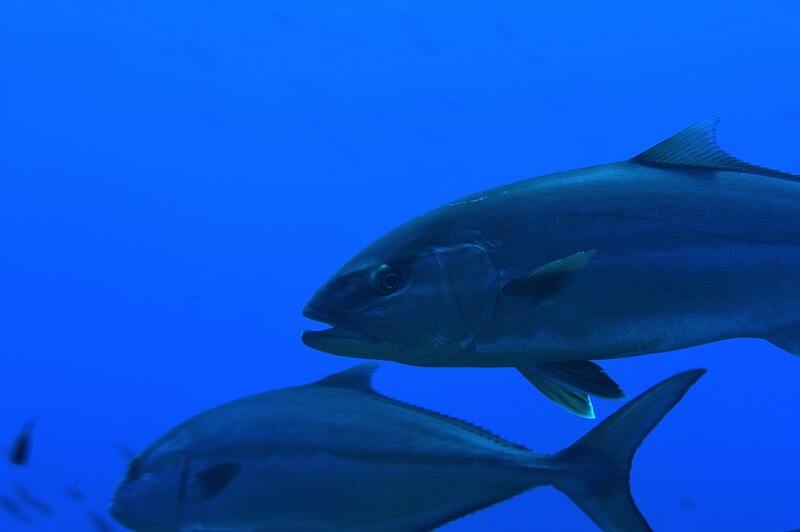 At the top of the rock you will meet some big amberjacks. Discovered few years ago, with a narrow entrance at 10 meters depth, the cave has a sandy bottom. You will enter the grotto in group of three divers. 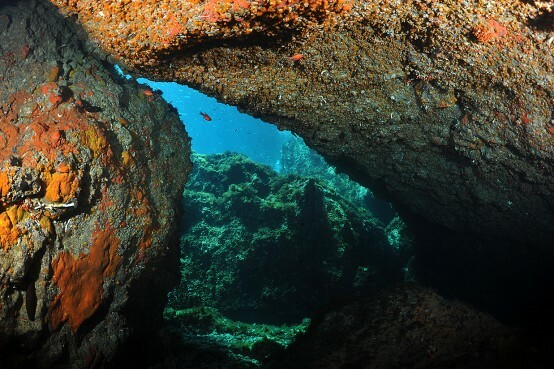 You will see big stalagmite, formed by a flow of lava, at the top and on the right of the cave, calcareous sponges and Plesionika Narval, the famous Ustica’s shrimp. The spectacle on the surface of the grotto will leave you breathless. Outside the cave, you will see forkbeards, octopus and little groupers. The shoal is formed by big rocks starting from a sandy bottom at a depth of 50 meters to a bathymetry of 24 meters. During this tour, you will see a large number of horny corals and branches of black coral and you will meet barracudas and big amberjacks. You will also run into the wrecks of an italian fighter plane crashed in the sea.